For the board builders out there. I am going to put a layer of 2mm high density foam on the bottom and rails of my next build. Is it better to glass the blank then high density foam and glass again or just vac bag the high density foam straight onto the blank then glass. I have looked online and companies seem to do it either way. 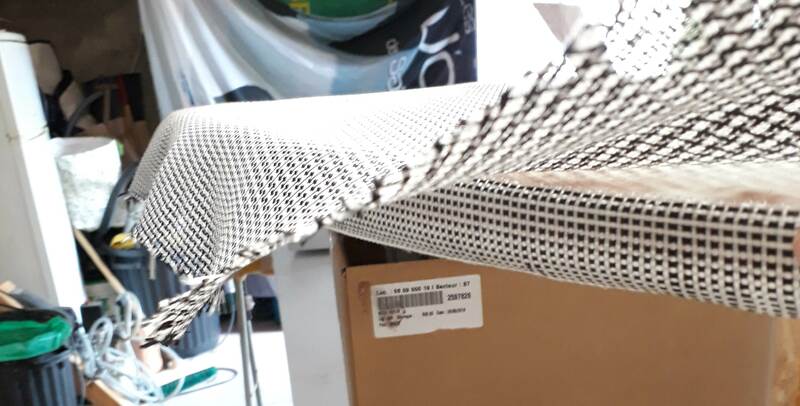 mechanically, you MUST enclose the high density foam by 2 layers of fibers, otherwise you will not get the sandwich effect that provides the impact resistance. I would be surprised if any brand was going through the trouble of bending PVC on the rails without looking for the benefit of a sandwich construction. Would vectornet or something else work as the first layer or can I use a really light glass. same here tarquin1 and we need more of you keen builder's and tell us with pics? I used to build windsurfers in the late 80's early 90's. For polystyrene blank with the bottom shaped (with allowance for PVC thickness) you can use 4 ounce cloth wet out then you high density foam on and vacuum bag it placing on a rocker jig. Shape deck and rails allow for deck sandwich thickness and then layer of cloth. Then finboxs in and after cured glass bottom lapping rails. A full deck sandwich wrap requires more skill to get material around the rails to vacuum. 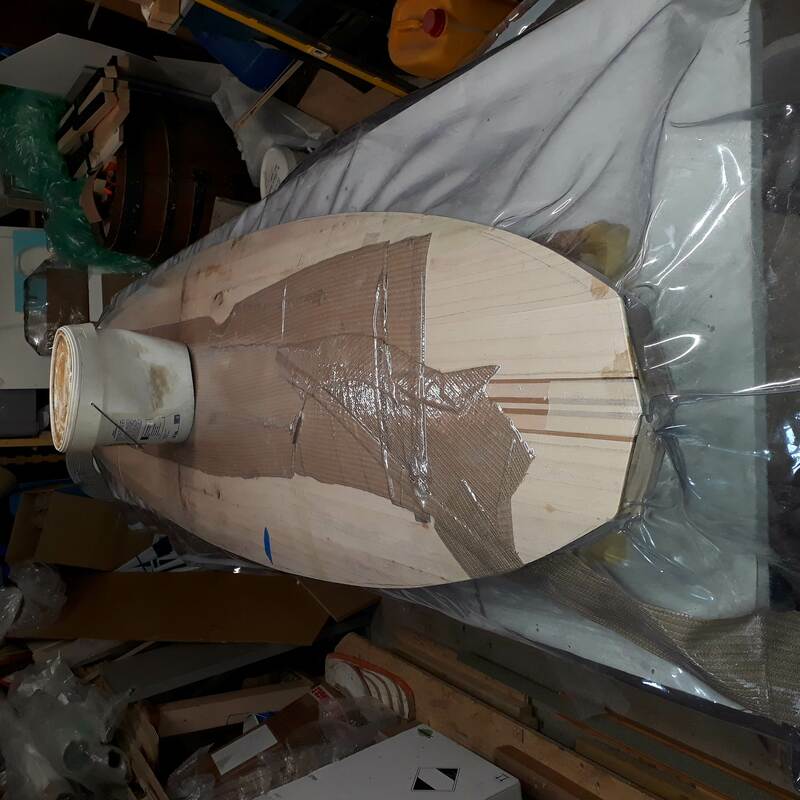 Big consideration before you start is a race board you want light and stiff where a waveriding board you want strong so the materials and techniques you use will vary. Carbon is awesome stiff for racing but kevlar can take high impact but will bounce off rocks and is hard to cut. Ply and veneer is better on decks as it stiffens when curved. This is the best vid I found. Glass both sides is the go as Colas said. I still wonder if some sort of Vectornet would be better than just glass. It could save some weight. Or just keep it simple. Vectornet is tricky to use, because the carbon threads protrude from the glass. So, if you are not careful, you will end up filling the space between them with resin, adding a lot of weight. I think it would be better to use just a plain carbon cloth, or carbon bands rather than Vectornet. If it's adhesion your looking for, I wouldn't think Vectornet would be as good as glass. And Colas is right, Vectornet does need to go against the foam (pref vag bag) or you could run into just what he described.....ask me how I know ??. But of course in your instance it wouldn't apply. What about using Innegra cloth instead of going to all the high density foam trouble? Or even better an Innegra/carbon combo weave cloth? Innegra is basically a polypropylene cloth that has great flex, but real impact and tear resistance. I've built 4 or 5 using Innegra as the base cloth with one layer of 4 oz S cloth over. Generally I'll put either a wood veneer or cork in the standing area. Strong and light. No rail tape needed. However, it doesn't take color for **, so you're not going to have an "art" board unless you take other measures. This is a "leftovers" board with Innegra deck with scrap pine veneer in the standing area, and Vectornet on the bottom. All covered in 6oz E glass. I say leftovers because I had just enough of everything to build the board. Oh, and tie dyed fabric under the glass. 8'10"x 28"
Hi thanks for that. I am actually building a carbon/Innegra board at the moment. It's really expensive! I wont to try a sandwhich bottom. I am about to order some Innegra. It sounds like just a layer of light glass on the inside is the go. Keep it simple. I am thinking 2oz Innegra and 4oz woven flax on the outside. I have 2mm airex so that will be the core. If I feel it needs it I can then glass. I don't think so though. 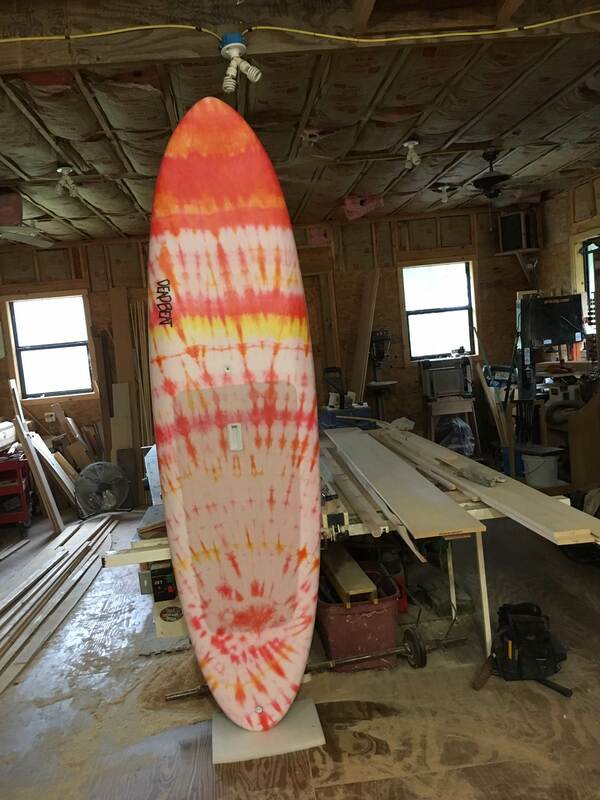 Love the tie dye. Looks like you do a bit of wood work. Maybe try a wooden board. Where are you. Hey tarquin and others, good thread. Where did you get your vacuum bag big enough for a SUP? I made one. It's clear PVC plastic. I made it really big incase I ever make i bigger board. Which I will be soon. That's a 10'6X28 board. 30 wide when the rails were glued on. You can buy vac bags buy the meter. Big tubes you cut to length and seal the ends. It's not strong enough for wood though. I kept putting holes in it. I am in France so can't help with suppliers. Hey Tarquin are you building in epoxy? If so are you using any additive for hotcoating ? That wood board is sweet, tarquin! It's funny. I've been a carpenter for many years, have the tools and the skill set to build a wood board, but just haven't really been bitten by the desire. Go figure. I surf the weak waves of the Gulf Coast of the US. 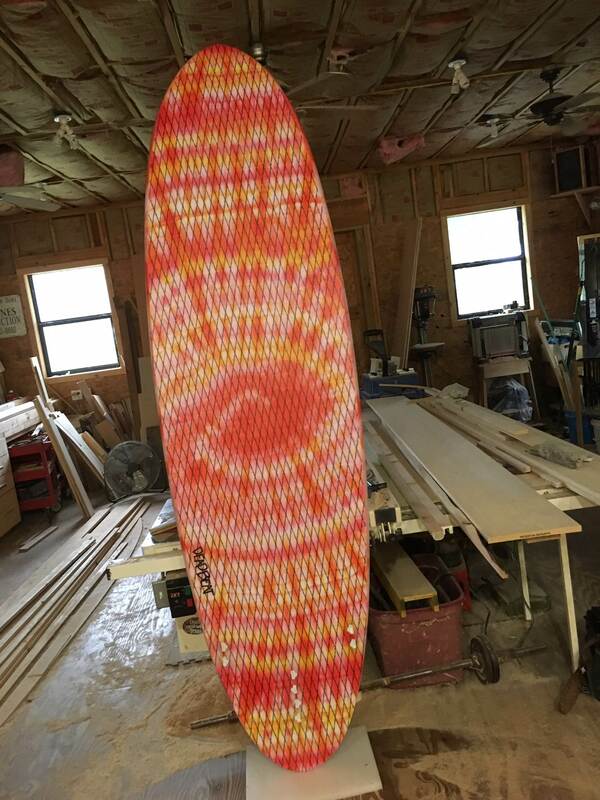 Not too many sup surfers, so boards are are to get, let alone just get to see, so I build my own to try different things. Yeah, that carbon/Innegra is pricey and hard to find for me. I just liked the video of the guy intentionally beating his board against a tree and then on the pavement with no discernible damage. Sounds to me like you have the process wired and will have a strong, durable board. Please post process and build pics. Board build threads are always cool to read! lukemin yes I use epoxy. No additive. Use good epoxy that doesn't blush. Glass and hotcoat,sand, coat and hot coat. Sand.Then 2 coats of poly marine varnish. Some people polish the epoxy no varnish. Reprobate, I havin't seen the vid of the guy beating his board against a tree. Still learning and making mistakes. Wouldn't say I have it wired yet.